Welcome back for Day 5, if you are just arriving for the first time all the details and the linkup can found HERE. 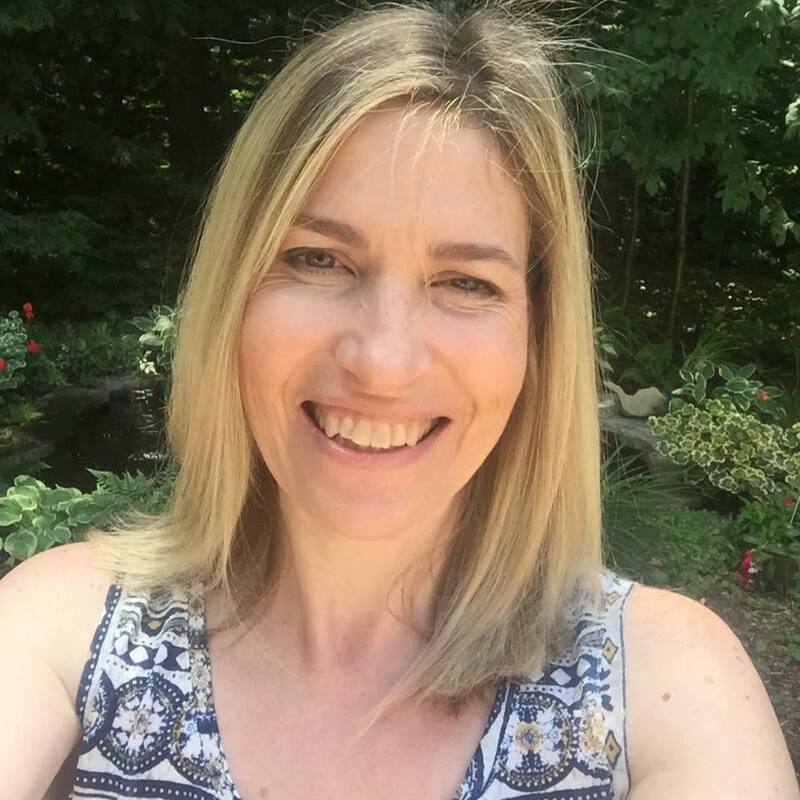 Today I have CAS-ual Friday joining me and some of their designers as my guests. CAS-Hal Friday is offering three $25 gift certificates as my sponsor for three lucky winners. Comment for your chance to win here today by answering whether you are starting to get excited about Christmas? All of the tags are just beautiful! Love the ink blending on your two today! So pretty! I am a little excited, as it is a lot of fun making xmas cards and shopping for gifts. However, as for the real xmas spirit, that will while until after Thanksgiving. Getting just a bit excited about Christmas! 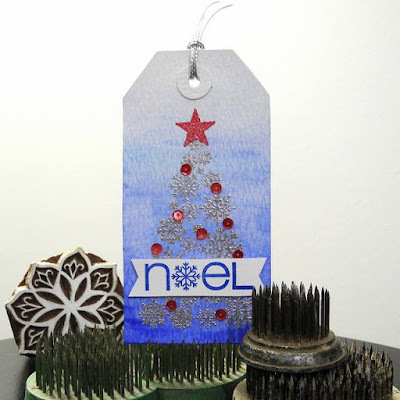 More wonderful tag samples... the different designs and styles... the snowflake trees are so pretty Tracey! I am not in Christmas mode yet... want to get Thanksgiving out of my mind first. Oh these are gorgeous! I love snowflakes! Not very excited about Christmas yet. I usually don't get into the mood until after Thanksgiving day. Love some of these tags again today. Thanks to all for more great inspiration. Love the fact that I don't have to stop and wonder what tag design to make next. Just need to make time to photograph and post them!!! I look forward to Christmas so much! My son just got married in July and I now have 5 grand-children and a great-grand-daughter so yeah, I'm excited already! Great tags, too!! Fun cards! I especially love your pink tree one, Tracey--gorgeous! These are beautiful! I wait until after thanksgiving before I get immersed in Christmas! Yes, I love Christmas time. And we are taking the whole family to Hawaii, well, actually the week of Thanksgiving and then not coming home until Dec. 1, but I know that will get me in the spirit and I love Melekalikimaka song!! Making tags for everyone is sure putting me in the spirit also!! Can hardly wait to shop for the gifts that the tags will be used for! I am always excited for Christmas. It's just a matter of sitting down and putting it on paper. Fantastic tags ... except for making Xmas cards, my excitement starts after Thanksgiving. I love the holidays and have started making tags for gifts ... bring it on! Thanks! I rather like these modern forms! These are all so pretty!! I am loving all these posts!!! I am so excited for Christmas! It is my favorite time of year! Love these tags, especially the pink tree one! All of the tags are gorgeous. I especially like the sprigs of green gathered at the top of Julia Altermann's tag. AND, I like yours with the embossing over the distress inks. Very Pretty! Love all of todays tags. Well, I guess I am getting excited about Christmas because Rachel will be coming home! Love all the tags and finished my Christmas cards can't wait to mail but have to wait and send thanksgiving cards first. I'm getting excited because this year I might have a white Christmas my in-laws are taking the whole family to Europe! Big contrast to the normal boiling hot Christmas we have. Such lovely tags!! I am starting to get excited about Christmas! Very soon I'll be able to begin Christmas crafting and I cannot wait! Wow! All of these tags are so beautiful!!! I am getting SUPER excited about Christmas! Especially with all of the festive inspiration out here in blogland!!! More amazing tags. So beautifully done. I don't think I'd say I'm getting excited about Christmas, but I have been doing a bit of shopping, made my cards and am doing some planning, but not excited yet. That will come after Thanksgiving. What wonderful tags! And thanks to the CAS team for joining in! Terrific tags from the CF gals!! Your tags are fresh and PRETTY Tracey!! Beautiful tags, Tracey! I love the soft pastel colors you chose for these two, and your embossed trees are so pretty! I just started creating my Christmas tags, and it's really getting me excited about the holidays! I'm super exited about christmas! I love that time of the year! I am getting excited about Christmas...but I have so much to do! Great tags! I love Cas-Ual Fridays' style. And I'm ALWAYS excited for Christmas!! 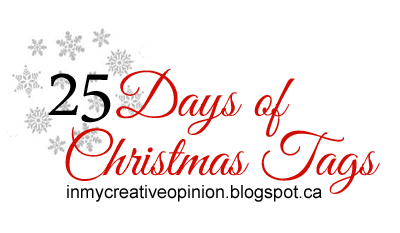 All the wonderful blog posts and of course your tag challenge are making me more excited. And it is finally a little bit colder here! Love all of today's tags--lots of great designs and I love all the different shapes for tags. Yes, I'm getting excited for Christmas! I've been having a blast making Christmas cards, and I made a couple of tags yesterday (woohoo), which I'll post here as soon as I get the chance :) Love all the tags today, so pretty! I definitely get in the mood of Christmas when I start making Christmas projects...this year I'm a bit preoccupied with my son's bday and Thanksgiving which we are hosting. Another great day of tags. Gorgeous!! 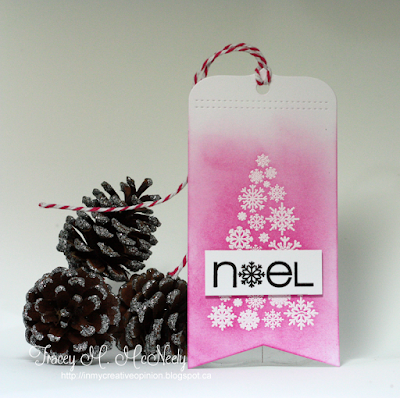 Love the pink and blue tags with white embossing!! delightful tags! love your snowflake tree! Gorgeous tags, I like the snowflake in the sentiment. It's a nice touch. Excited?! Heck yes!!! The lovely tags make it that much more fun! Another fab day of cards, Tracey! Cute tags! I adore ink blending! All are fabulous tags with festive inspiration! 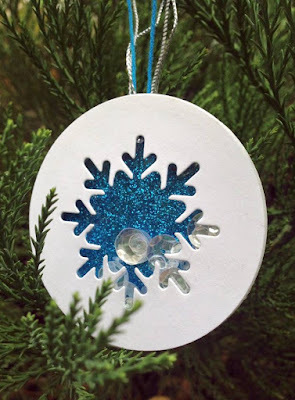 Especially Love the snowflake tag in blue! Wow! These are all gorgeous!!!!!!!!!!!! Love all of the beautiful tags. I'm not sure that excited is the right word. But I do know that Christmas is coming and I know that it gathers speed and I need to be getting ready. Tags are a great place to start the prep. Thanks for all of the great ideas. I love tags and your annual tag posts! The samples today and on the other days have been fantastic! Great inspiration! I'm not really ready for Christmas, but with all the Christmas inspiration out there I'm getting there! These are darling. My favorite is the mistletoe card. How cute and creative. We are getting excited for Christmas for sure! STUNNING tags today! They make beautiful inspirations! I'm not sure excited is exactly the word... when I think of the number of days left divided by the stuff to do, perhaps anxious is a better word? :D Somehow, it either always gets done or doesn't really seem to matter in the end. ;) Beautiful tags today, but I think I may have to CASE your emboss resist tags! I am excited about Christmas because most of my cards that I will need are finished and waiting to be mailed as the season nears. Just a few more to create and I will be able to concentrate on other aspects of the season and I won't have to rush. I love Christmas, especially when I can enjoy the spirit of it! Just a tiny bit excited about Christmas as we are just getting over the joy of the arrival of our second gorgeous little grand daughter. More great tags from you and your guests. The blue snowflake if so pretty. these are not overly-fussy tags. Love these (and I was inspired by yours, will post shortly). Some more great projects here. I do not do ink blending but I need to put that on my list to try it out. It gives such a pretty result. LOVE your inky background and ELEGANT design!!! YES - I'm EXCITED about Christmas but I have to confess, I'm getting NERVOUS too - SO MUCH to do, SO LITTLE time, hoping to decide on designs and get my cards & tags made soon, don't want to run out of time this year!!! Lovely tags, all of them! So much inspiration to be found here! Can't wait to see more!! Yes I am getting excited!! These tags are gorgeous! I am honestly not too excited about Christmas yet, but not because I don't love it, I am currently at Mayo Clinic in Rochester, MN awaiting some diagnosis that could be serious, so I haven't really had time to get into the spirit yet, I am enjoying seeing what folks are creating on blogs like yours and it is starting to get me thinking about Christmas! Thanks for the pick me up. After seeing all these lovely tags of course I'm getting excited for Christmas. I really like the white embossed trees. Loving all the snowflakes here! 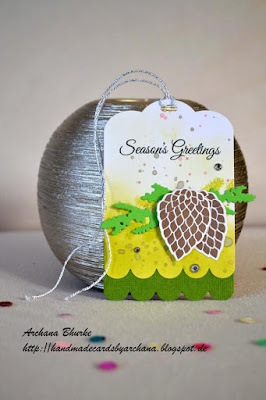 Way to get us moving on our holiday tags, love! Definitely getting excited! Loving the inking and resist I see on these! As soon as I start to create for Christmas, my excitement level increases. This year it was early; I started my cards in late October. 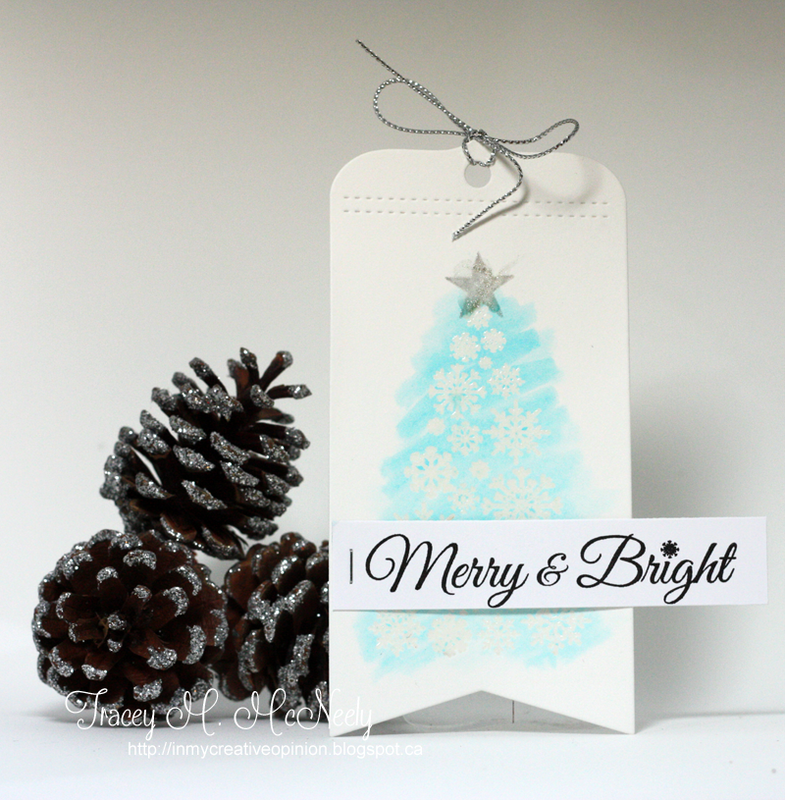 Lovely CAS christmas Tags in soft colors! Beautiful! I believe I'm continually excited for Christmas! I must've been an elf in a previous life??? I'm excited about some parts of Christmas, I just dread the shopping. These tags are definitely getting me excited about Christmas crafting. I am REALLY excited to get the Christmas season started. In fact I am going to start decorating this weekend.!! Awesome stamps and tags. Thanks for the inspiration. 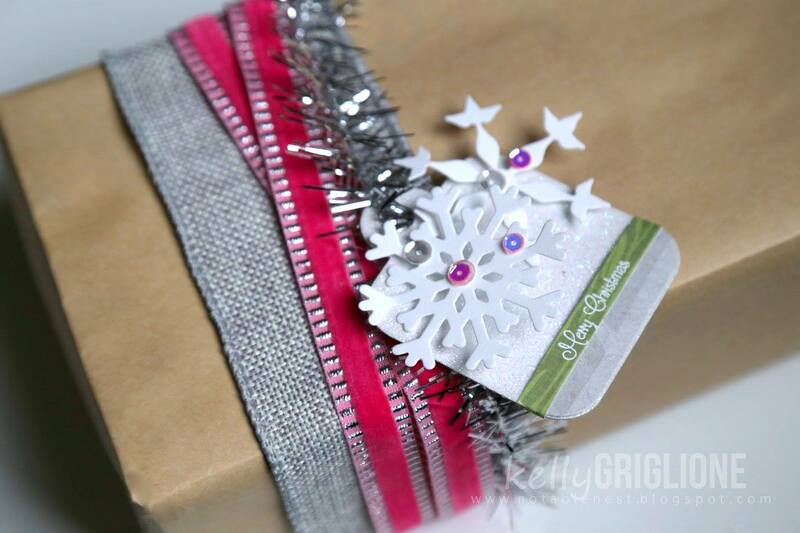 I am starting to get excited about Christmas, mostly making cards and tags at this point. Beautiful tags. I don't think I'm quite excited about Christmas yet but it's creeping up on us very quickly! Hmm...I am starting to shop for Christmas (a small gift here and there) but I don't think I will be excited until I officially make my gift shopping list and spend a day shopping. Lovely tags! I am embarrassed to admit that I started getting excited about Christmas even before Halloween this year - I blame the retailers coming out with festive things so early. Yes getting excited bout christmas, except it is so far staying warm & no snow yet! I am excited about starting all the preparations for Christmas. Cards, shopping, decorating. Yes, I guess I am. Ilove all the excitement Christmas brings! Well I am and I'm not. Not because its coming to fast. Am - because for once I am getting Christmas cards and tags made ahead of time, brilliant. Love all the tags. I am getting excited about Christmas this year and a bit overwhelmed. Yes, I love Christmas... even if it's mayhem at work.